Girls are crazy about dresses that is a known fact and the birthday dress has special importance in their life. My daughter who is just a month shy of 4 years was going frantic about her birthday dress and wanted the best dress from the market. The criterion for selecting the dress or lets say the parameters that a dress needed to fulfill for being the birthday dress were high. It should look like an outfit designed for a Barbie, or straight out from the Disney movie. So with high expectations we set out our search for the birthday dress. We wanted to find someone from the comfort of our house so online shopping was what we desired for. 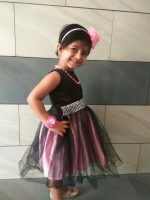 Apart from my daughters expectations I also had a condition that the dress should be of high quality fabric so that it is comfortable for her and her soft silky skin does not get rashes from the fabric. One fine Sunday we started our mission and after rejecting quite a number of dresses we opted the dress from Here . The design was very beautiful and trendy, the colors well coordinated and the fabric was silky smooth. The dress is with belt and beautiful buttons. As customization was available and the dresses were made to order I made a few changes in the outfit so that it had my personal touch also. The mode of payment was also feasible as they accept paytm, debit card or credit card. Thus we placed the order and within three to four days the dress was in my hands, happy me! There is nothing more relaxing than sitting at your home and ordering the best piece of cloth for yourself or your near dear ones, with this site as it has the option of free shipping. My husband, daughter and me unanimously loved the dress and my daughter just rocked the party as she dressed up in the beautiful attire. More power to the brand as they are helping to create good and fond memories for our angels and us (who said mommies cannot be princess). Read the full story…really an intersting one to read .. The story behind a lovely dress from a mother to a daughter for ur lil princess birthday with so much love and personal touch .She must be delighted and to add to ur angel ‘s birthday making it much more special with her beautiful smile .Thanks for sharing . She looks like a princess ?❤️. Belated Happy Birthday ?? Very cute dress and she is rocking it in the most adorable way. I just loved her attire she looks like a doll princess. 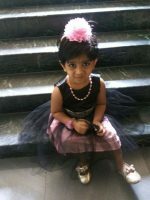 The birthday dress is always something a child and mom both plan in advance andthey wish to have one the perfect one. The dress looks cute.. Even I prefer online shopping it’s convenient & free shipping is a great option..
Oh wow this is such a wonderful dress, she is looking like a princess. Omg, she looks so amazing and adorable, indeed the most beautiful birthday dress. 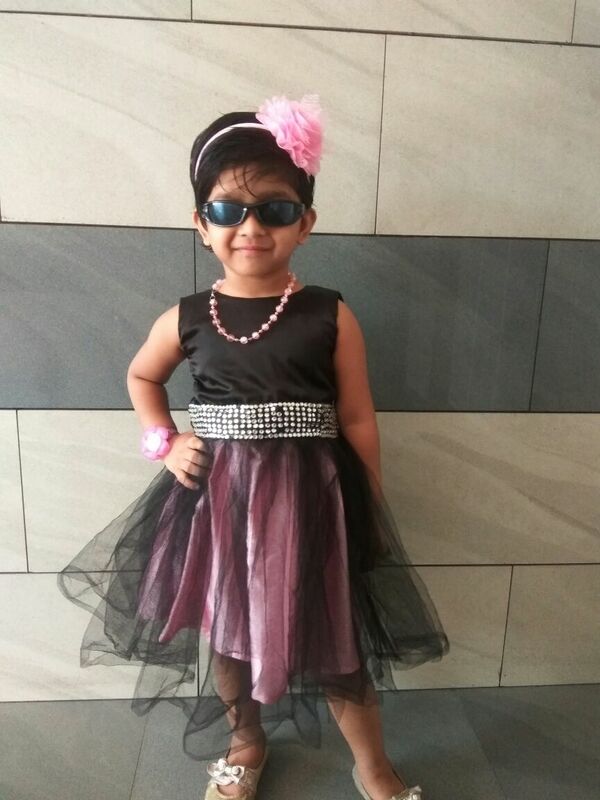 Wow, The dress is beautiful and Miraya is looking like princess in it… Well this site is really a great option for customized dresses, nice post. Awwwww she is looking so cute and adorable. Love her dress. she is really cute and adorable.